My second ever scientific paper has just been published! You can read it here. It’s published open access in the journal PeerJ, which means it is freely accessible by anyone. This paper deals with the experimental part of my masters research. I put out loads of insect traps at a couple of sites in the Waitakere Ranges over the summer, and then used the resulting catch of native wasps to try to figure out more efficient ways of trapping them. 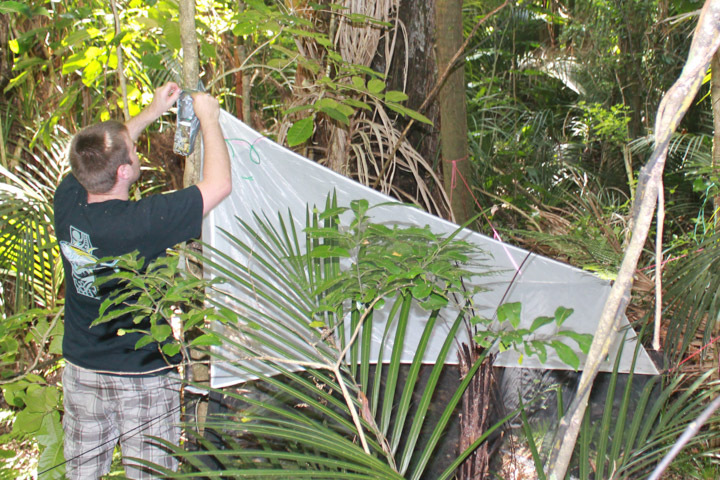 We showed that just using a few traps, as is traditional, vastly underestimates the species found at a site. Even when we combined all 20 traps together over the whole summer, we still didn’t catch all the species present. This means parasatioid wasps are very diverse (lots of species), but generally uncommon (not that many individuals). In fact, over half the species we caught were represented by only 1 or 2 individuals. One of the many species we captured: Campoplex sp., undescribed to species level. This work should help people who are interested in studying parasitoid wasps by helping them to design trapping programs to make the best use of the resources available. I have one other published paper, a species description, also from my masters research. 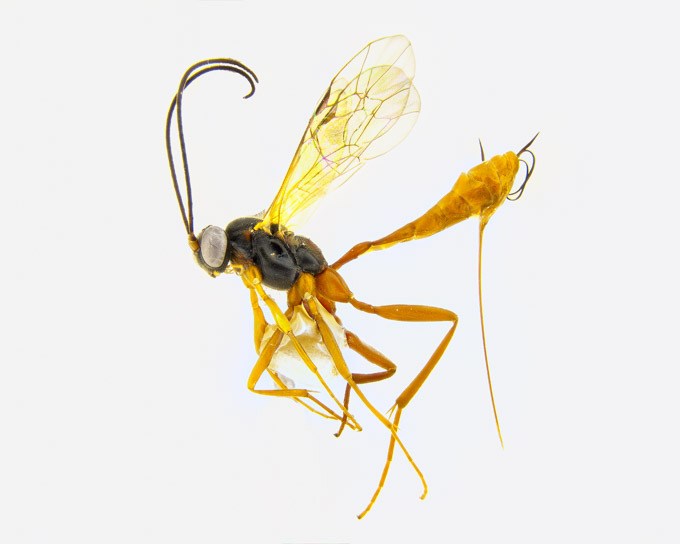 It generated a lot of media interest because I named a wasp after a harry potter character. Even Jason Isaacs tweeted about it!